We’ve been hearing a lot about the upcoming Meizu flagship dubbed as the Meizu MX3 during the past few days. 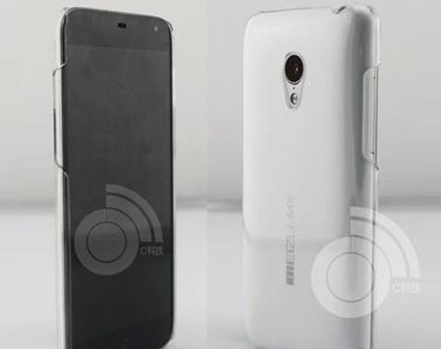 Today, we’re finally able to have a first look at the Meizu MX3 after it was uploaded to a Chinese website. Of course, the Meizu MX3 will be coming with improved specifications as compared to the second generation’s Meizu MX2. According to reports, the Meizu MX3 will be spotting a 5.1-inch 1080p Full-HD display, Exynos 5 octa-core processor from Samsung, 2GB RAM, 13 megapixels rear camera, 2 megapixels front camera, 16GB internal storage as well as their homemade Flyme 3.0 OS with Android 4.2.1 running in the background. Whatever it is the Meizu MX3 will officially be unveiled in China on September 2 next month. Rumors also claimed that the device will be coming with a price tag of 1,999 Yuan.